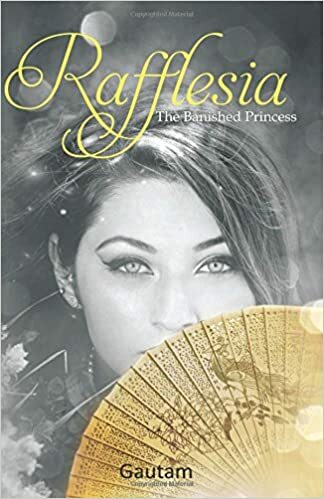 The book Rafflesia is a very well knitted tale, surrounding a bunch of people who have a very different side, very peculiar way of behaving in the book, which makes the book a really enjoyable treat. From the very start the book travels in two dimensions. Well, the trend of playing with flashbacks is so much in trend that it didn’t came as a surprise. The author managed both the scenarios with perfection and everything was complementing the larger picture in the long run. I particularly enjoyed the flashback more than the present world because it had a lot of sincerity and pieces that were so innocent and emotional that it was so easy to connect with them. I always waited for the bigger Appu to vanish and smaller version of him to appear and tickle me everywhere with his little doings. The characters in the book were of great range and I enjoyed them beyond any limits. I loved Appu, I adored Rahul, and I loved their mothers and their fathers. It was a great family saga written in a very simplistic manner which kept the pace moving with ease. Not at one point I felt bored but yes the book was extended without any specific need. Also I felt that there was a need to decipher the meanings of the phrases used in a foreign language in brackets or at the end of the book because due to that the connectivity was broken and that is one reason why I sometimes wanted to skip the narration that dealt with the life of a grown up Appu. Good part about the book is that it is relatable. It is easy to wear Appu’s shoes if you are an Indian kid. The appearance of such part is really enjoyable. The book tells you how Indian kids are so unique, they have a very different way to deal with things or rather they are brought up that way. The hardship, the turmoil’s, the people accompanying the shy and reserved Appu is really delightful. If and only if some parts were trimmed while editing, some phrases were re-told so that they became understandable, the book could have reached the zenith. Still it is a great read with right amounts of everything. The good thing is that it can attract any reader irrespective of her or his choices. A B-School graduate, Gautam is a business analyst by profession. Considers the laptop as among his best friends and nurses a secret desire to turn an entrepreneur someday.